Martells Waters Edge in Ocean County is a beautiful venue to celebrate your special day. The new Martells Waters Edge has a spectacular panoramic view of the majestic Barnegat Bay.from every seat inside the banquet room. For your convenience, there are hotels located nearby the marina. The newly constructed venue can accommodate over 200 guest. You begain your celebration with a wedding ceremonyat their private waterfront garden, followed by with creative and artistic photographs we will capture on and around the waterside pier. Your guest will be enjoying the cocktail hour in their Angel Room that features an expansive aquarium. Following the cocktail hour your guest will be escorted to the main banquet room which is beautifully decorated. You will be able to take in the breathtaking view of the bay. 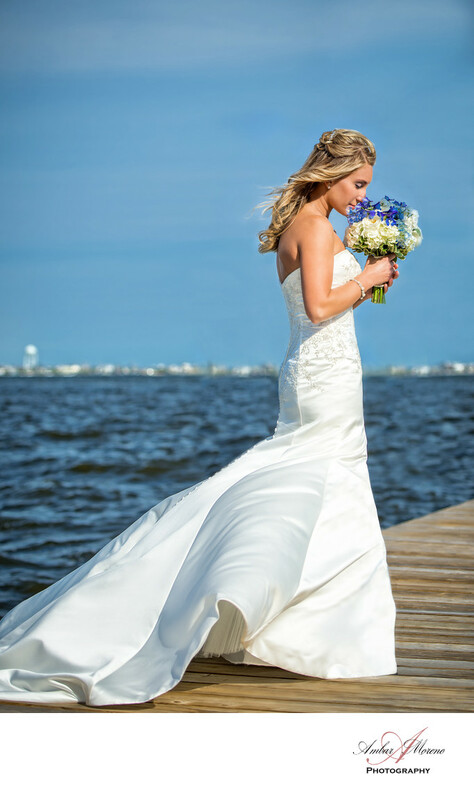 Martells Waters Edge has a one wedding approach so the staff can cater to your every need in a distinctive style.and they make sure that detail is presented to perfection. Your ceremony will take place outside with the bay as your backdrop. It is scenic. I simply love photographing at the marina. There are so many wonderful locations to choose that will add to the number of artistic and creative photos you will receive. The venue is elegant and absolutely beautiful. The photo opportunities at this venue are endless. Keywords: Bayville (15), marina (3), Martells Waters Edge (15).